Hello, and welcome, Modkid readers! When I was invited to participate in this tour, I couldn't say no. Because, holiday sewing!! 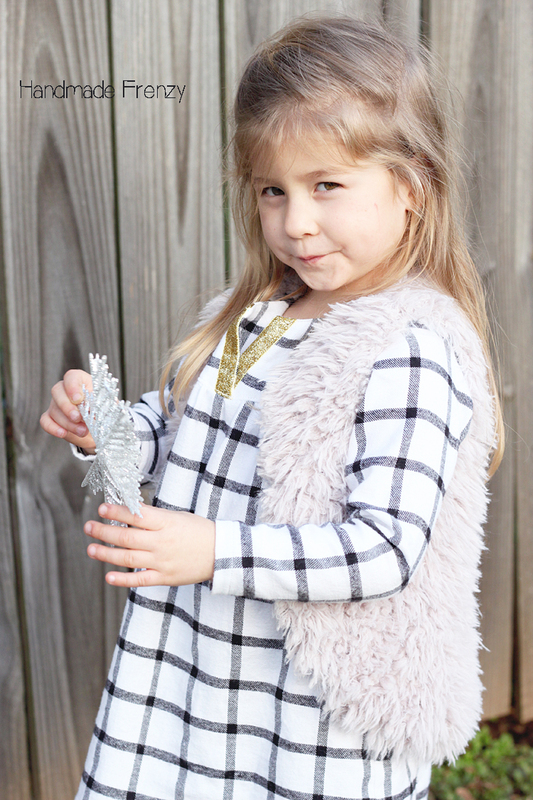 Honestly, I always have grand intentions to sew holiday looks for my kids and myself but rarely actually accomplish it... So what better way to get something done, then to agree to a deadline!? Ha. Ok, so on to what I did actually sew! 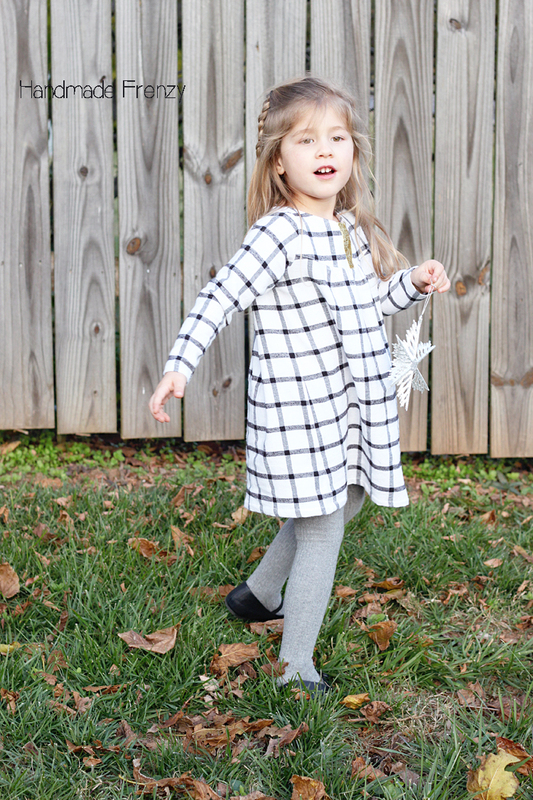 I chose the Dakota pattern and lengthened it into a dreamy flannely comfy dress. I've had this look in my head for a little while, so I was so excited to finally cross it off the list. I made a size 3, with sleeves lengthened to a size 4 (and in hindsight, I should have widened the sleeves to the 4 at the bottom as well) and then measured her to see how much to lengthen the top to get the length I wanted. Since the top is already pretty full, I didn't really want to add any more to the width, so I kept the same width at the bottom of the dress as the pattern and drew a new line from the armsyce to the hem. I love the little V detail at the neck. I added a little blingy ribbon for a bit more holiday feel and that sold her on the idea for sure! 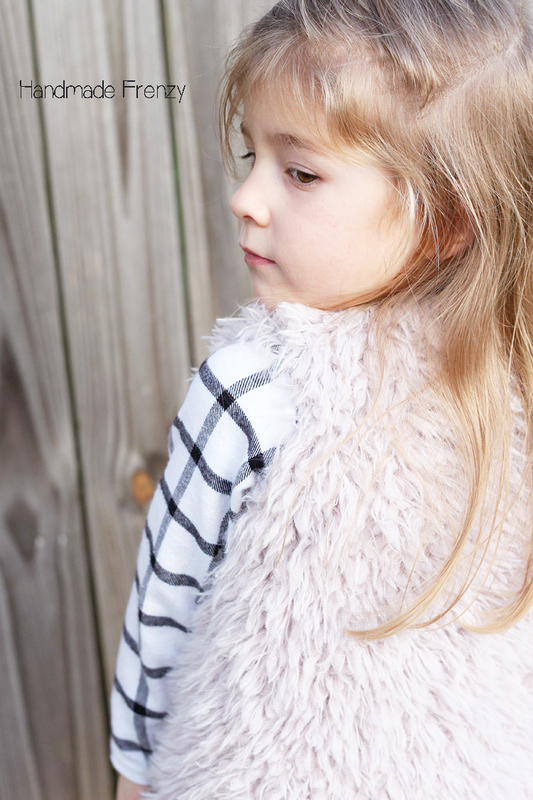 I made this little faux fur vest using Sewpony's tutorial and the Rowan tee as my starting point. She loves the vest, and I'm pretty pleased with it too! Something I'll do next time though, is to scoop out the armsyce some, especially if using a nonstretch fabric for the lining. It was one of those doh! moments as soon as I finished it and I'm still debating if I have the willpower to rip it open and fix it. I would maybe shorten it a bit as well next time. 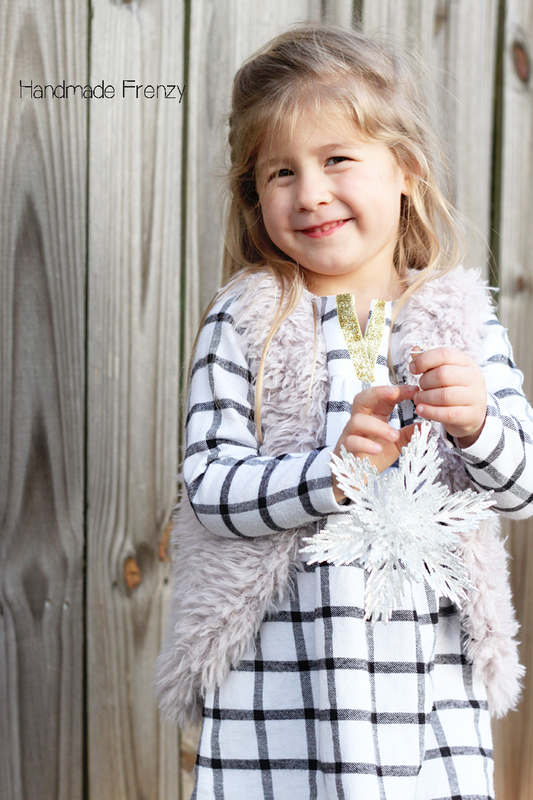 Overall though, we both absolutely love the holiday look! It's a little bit holiday, a lot cozy and super comfy. A win for everyone! 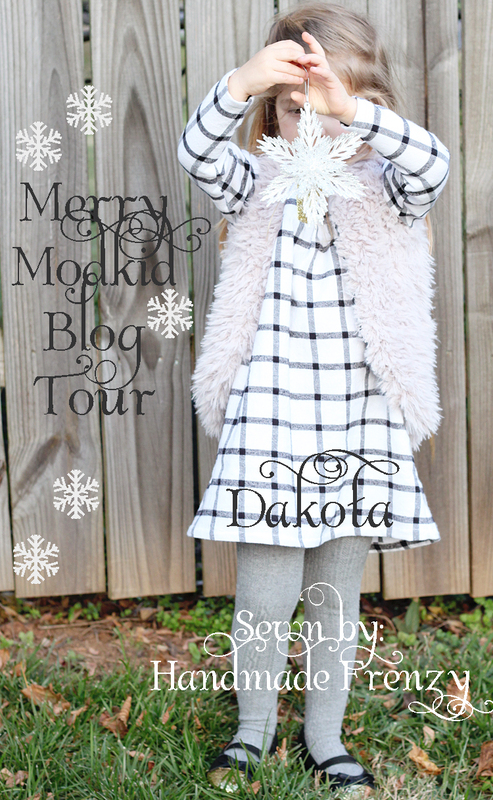 Thanks for stopping by, and don't forget to check out the rest of the blog tour. Also, there is a sale you can take advantage of to go with all the inspiration! AND a giveaway! Just keep scrolling for all the details. The coupon code MERRYMODKID25 gets 25% off an entire order on the Modkid Etsy store, valid Monday 11/30 through Friday 12/04 at Midnight EST. I seriously want this whole look for one of my girls!! Such a great mix of texture and neutrals. Beautiful dress, such adorable girls. It is a lovely dress. I too love the V shaped neckline. 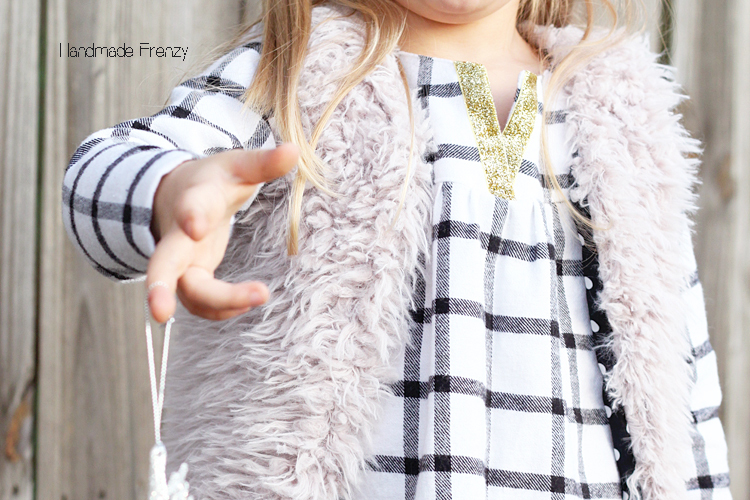 The dress looks great with the vest! Love the dress, especially the gold at the neck, looks so comfy and stylish! 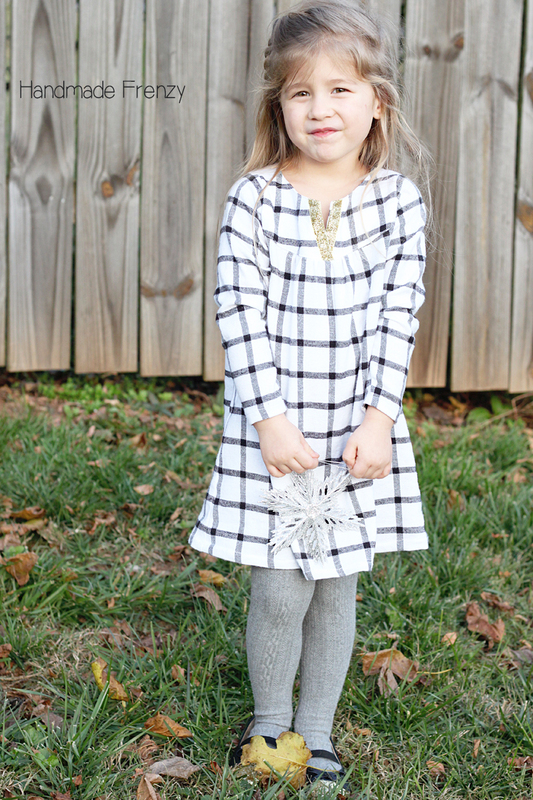 This dress is so sweet and so comfy looking... I want to make it my size and one for my daughter. 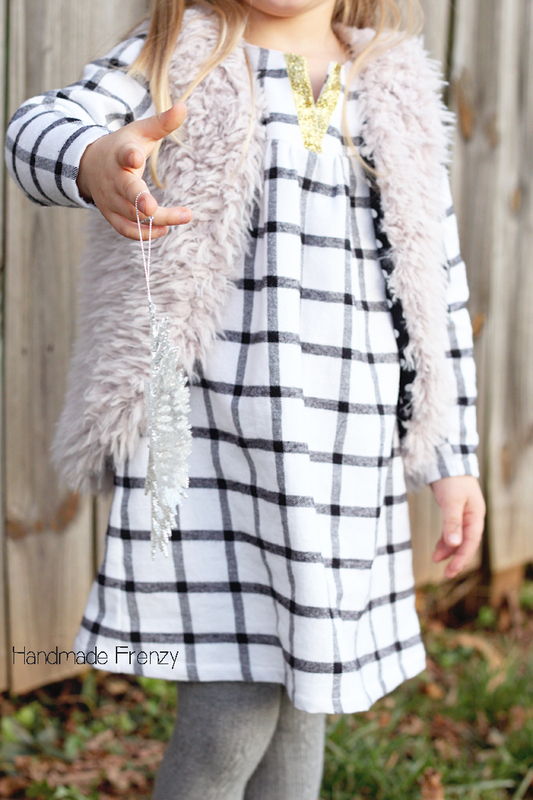 This is so cute, would look great on my daughter, love the bling! 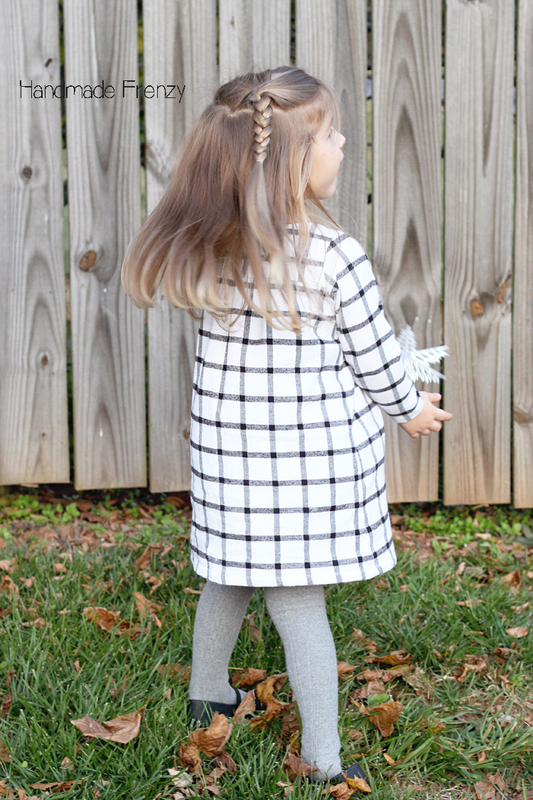 with so many little grand girls, this pattern would be fun to make. Love it in flannel. thanks for all the pictures of it.